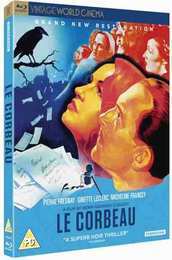 A veritable masterpiece of French cinema, LE CORBEAU is a dark and subversive study of human nature starring Pierre Fresnay and Ginette Leclerc. A wave of hysteria sweeps the small provincial town of St. Robin when a series of poison-pen letters signed ‘Le Corbeau’ (The Raven) begin to appear, denouncing several prominent members of society. The slow trickle of sinister letters soon becomes a flood and no one is safe from their mysterious accusations. 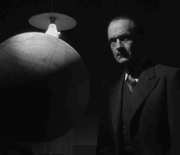 Upon its release in 1943, Le Corbeau was condemned by the political left and right and the church, and Clouzot was banned from filmmaking for two years.